It is never too early to look ahead to the most exciting two minutes in sports. The Kentucky Derby on the first Saturday in May is America’s longest-running continually held sporting event (since 1875). Roughly 150,000 spectators gather at Churchill Downs to watch the 1.25 miles race. And they come from different locations of the states and even across the Atlantic, packing Louisville with celebrities, fans, tourists, and locals during the two-week-long Kentucky Derby Festival that precedes the grand event. 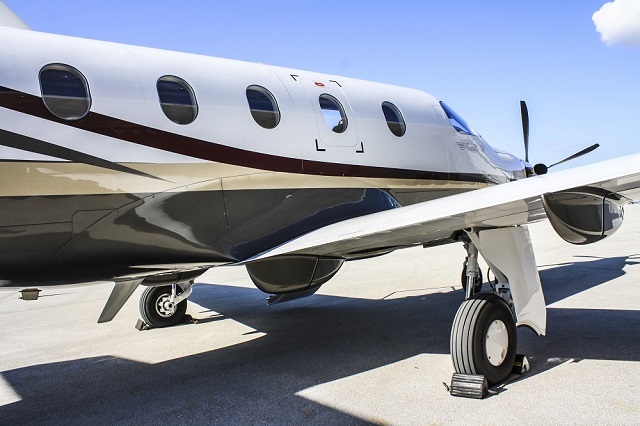 The private aviation sectors receive an important boost during the first weekend of May in comparison to a normal Friday or Saturday, registering an increase of 30% in on-demand charters as reported by Monarch Air Group of Fort Lauderdale during the 2018 edition. Regular clients book with months in advance, although the trend of first-time private jet flyers has continued a sustained growth through the years. “As with the Super Bowl and a couple of other pro sports events, the Kentucky Derby is pinned on the calendar as one of the most important weekends during our dynamic flight schedule. Clients enjoy arriving the same day of the race, have lunch on the flight or at Churchill Downs and prepare for the greatest two minutes in sports,” states David Gitman, Executive Director of Monarch Air Group. You have heard about the private jet experience, right? Well, a flight that is supposed to take approximately three hours from start to finish, say Miami to Louisville, in fact, takes 180 minutes from point A to B. Ok, maybe 190 if you want to stop for a coffee at the private terminal. This, including pre-departure and post-arrival procedures. This is true because you don’t need to arrive hours before your flight, and once it ends you can take your luggage straight to the taxi, especially on national routes. That’s flexibility and time-efficiency at its finest, especially when commercial aviation concourses are expected to be packed with travelers and delays. “We usually land at the Louisville International Airport or at Bowman Regional, both less than 10 miles away from the venue. Its proximity to airfields is a true game-changer and one of the reasons why flying private to the Kentucky Derby is so popular. Actually, there are 12 airports within a 70-mile radius of town, what makes it an ideal area for private aviation and its flexibility to operate in domestic airstrips where only that smaller aircraft can land,” concludes Gitman. BFR, Virgil I Grissom Muni, Bedford. FTK, Godman AAF, Fort Knox. LOU, Bowman Field Airport, Louisville. MDN, Jefferson Proving Grd, Madison. SDF, Louisville International (Standford Field), Louisville. Established in 2005, Monarch Air Group is a leading provider of the on-demand private jet charter, aircraft management, and long-term aircraft lease. Among Monarch’s customers are Fortune 500 corporations, leading entrepreneurs, Government agencies and world-leading NGO’s.